To deploy a website is to put it up online as a live, working website for the world to see and use. You’ll need a Djangozoom account. 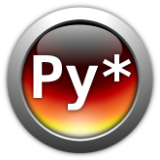 Sign up at http://djangozoom.com and tell them that you need an account for the PyStar tutorial. It should say “Working...” Wait for it to finish. It should change to “Job succeeded, deployed at http://p00000333.djangozoom.net”. Open whatever URL you were given in a new browser tab. Congrats, your project is now live on the web! To set your domain name, click [Custom Hostnames] and follow the instructions. Finally, to access your site’s Django admin, click [Create Superuser]. Enter a password that you’ll be able to remember and click [Create Superuser Account]. Then go to your site’s Django admin (something like http://p00000333.djangozoom.net/admin/) and log in with your superuser name/password.